An off-duty Border Patrol agent was arrested in Oceanside when officers found him asleep in a pickup truck with heroin and an illegal rifle, police and Border Patrol officials said Wednesday. OCEANSIDE (CNS) - An off-duty Border Patrol agent was arrested in Oceanside when officers found him asleep in a pickup truck with heroin and an illegal rifle, police and Border Patrol officials said Wednesday. Brandon Herrera was arrested around 8:45 a.m. Sunday outside an apartment complex at Los Arbolitos Boulevard and Fredricks Avenue, Oceanside police spokesman Tom Bussey said. Officers contacted Herrera because he matched the description of a suspicious man in his 30s who was reported to be loitering near a trash bin at the complex on April 2. His Ford pickup also matched the suspect's vehicle description. "When the officers arrested him, he identified himself as a Border Patrol agent," Bussey said. During a search of Herrera and his vehicle, officers found about 5 grams of suspected heroin and a short-barrel rifle, Bussey said. The federal agent was booked into county jail in Vista, but later released. Border Patrol officials confirmed the arrest Wednesday but would not confirm the agent's name or details about his employment. The agent was placed on administrative leave, officials said. 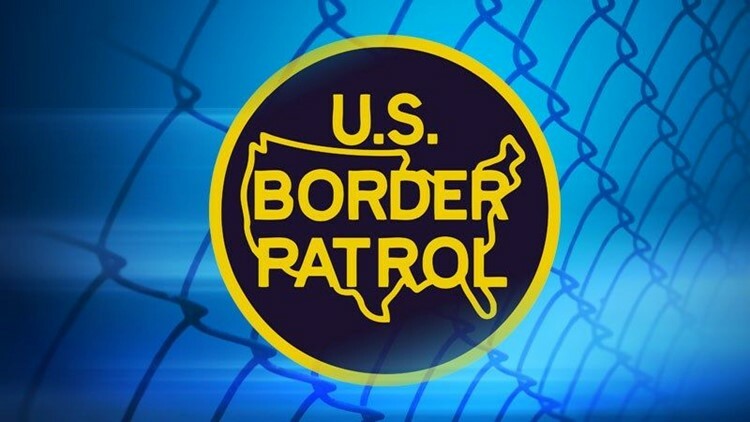 "The U.S. Border Patrol serves the community with honor and integrity and has zero tolerance for illicit drug use," San Diego Sector Chief Patrol Agent Rodney Scott said. "Any allegation that tarnishes the badge and violates the public trust is taken seriously. We are cooperating with the investigating agency, and the employee in question has had his law enforcement authority revoked and has been placed on administrative leave pending the outcome of the investigation." Prior to making contact with Herrera, officers did not know the person they were looking for was a federal agent, Bussey said. A caller reported a suspicious person and vehicle near a complex trash bin on April 2, and officers were unable to find that person or his vehicle that day. Officers returned to the complex at least one other time last week to search for the person and returned a third time on Sunday morning, when they found Herrera asleep in the truck, police said.